The story of U.S. President Lyndon Baines Johnson from his young days in West Texas to the White House. (from IMDB) Starring Jennifer Jason Leigh, Woody Harrelson and Richard Jenkins. Rated R. 1 hour 38 minutes. 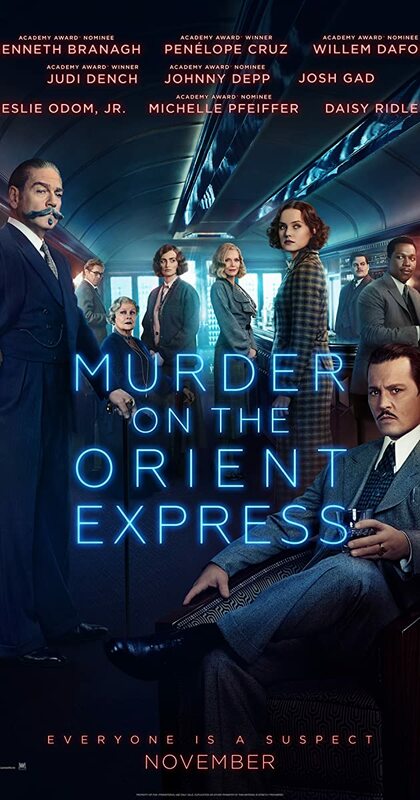 When a murder occurs on the train he’s travelling on, celebrated detective Hercule Poirot is recruited to solve the case. (from IMDB) Starring Kenneth Branagh, Penelope Cruz and Willem Dafoe. Rated PG-13. 1 hour 54 minutes.